With less than two weeks left in 2016, economists and real estate experts have come out in droves to prognosticate about the coming new year, and the future of the housing market. According to the latest round of predictions from the experts at the listing site StreetEasy, Brooklyn is home to more of next year’s hottest neighborhoods — but not NYC’s top 2017 neighborhood. While six of the top ten hottest NYC neighborhoods in 2017 were, unsurprisingly, located in the super-hot housing market of Brooklyn, the top spot went to Kingsbridge, located in the Bronx. Kingsbridge was the only Bronx neighborhood that made the list. 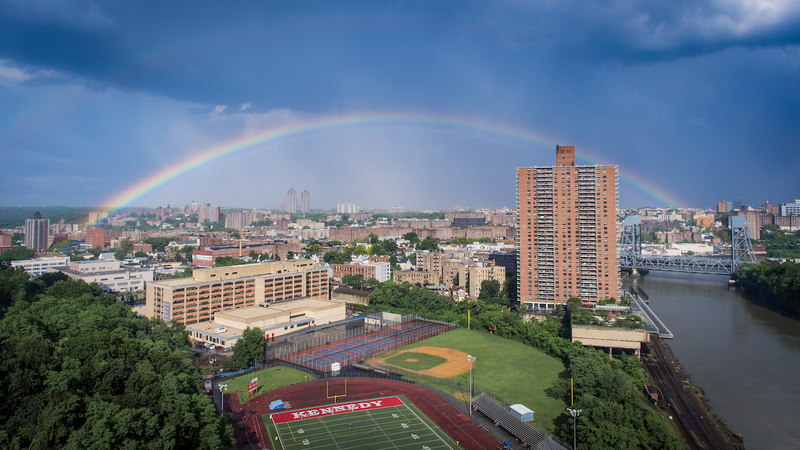 Kingsbridge, which has long been overshadowed in the Bronx by the popular Riverdale, took the top spot in part due to new city funding it received. The funding was allocated to “expand an already robust shopping district and initiate neighborhood clean-up.” Kingsbridge is an area that’s primed for growth and people are taking notice, says StreetEasy. It also predicts that the Bronx will be the only borough where resale prices will decline next year. They are expected to fall 1.4 percent over the next 12 months. And while Brooklyn’s red hot Williamsburg or up-and-coming Greenpoint were not named among next year’s hottest hoods, Fort Greene, Bath Beach, Prospect Lefferts Gardens, Gowanus, Prospect Park South and Boerum Hill each managed to carve out a spot on StreetEasy’s list. These Brooklyn neighborhoods offer similar waterfront views or park adjacency for a lower price tag than many other more trendy areas throughout the borough, observed StreetEasy. Bayside and the always popular local favorite Astoria — both located in the borough of Queens — rounded out the top 10. “This year’s list is all about the trade-offs New Yorkers are willing to make, whether that means extending your search by one neighborhood in exchange for a nearby park, or extending your commute to find a single-family home,” says StreetEasy economist Krishna Rao. No matter what borough you live in, renters are especially in for a particularly difficult 2017, according to StreetEasy’s forecast. Median rents city-wide are predicted to rise and continue to outpace income growth next year. In Manhattan especially, rental affordability will “decline even further” next year. However, shrinking “tipping points,” or the number of years it takes for buying a home more financially sound than renting, coupled with rising rents could convert more renters into homebuyers in 2017. StreetEasy expects to see more people who have saved for a down payment – especially millennials and other first-time buyers – to take advantage of a slowing sales market and move quickly to buy in the face of a looming mortgage rate increase. “Especially for those who plan to live in an apartment for more than a few years, the investment could pay off sooner than it has in the past,” Rao added.